This morning on Twitter I was asked had I any tips to share on strengthening your nails after Gel nail removal. Instead of replying via tweet I thought I would write up a little blog post since I have some experience with crumbling post gel nails. The first time I had acrylic nails removed My nails looked great for a few days but then crumbled to nothingness over a few weeks. I was not prepared for this and hadn’t taken any extra care of my nails. This has been a favourite of mine for at least a decade, I used to keep a tube in my school bag! After my gel nails were been removed I rubbed some of this lotion into my cuticles and left a layer on my nail to absorb twice a day. This might seem like a nuisance but I found it easier to do at times where my hands were still – watching tv in the evening, reading my book before bed etc. I kept this up for 3 weeks. I used a few coats of nail hardener to prevent help prevent chipping and peeling. The one I used was Sally Hansen Hard as Nails but to be honest I would use any brand. After a few days I would remove the hardener, do a little nail treatment (see below) and the reapply. 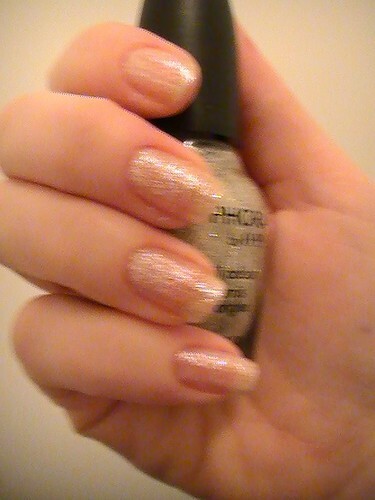 My nails were never without hardener for the 3 weeks, with the exception of treatment time. As mentioned, twice a week I removed the nail hardener and used treated my nails to a warm olive oil bath. I used the olive oil from my kitchen counter. Pour a little oil into a small bowl and warm for a few second in the microwave. Treat one hand at a time, pop all of your finger tips into the oil and soak for 10 minutes. You could also add a little Vitamin E capsule into the olive oil for extra strengthening power. I also took a nail supplement daily for a month or so. I started using a Holland & Barrett supplement but then switched to Perfectil Skin, Hair & Nails. They contain Omega-3 and Co-Q10 which apparently strengthen your nails from the inside. I have also heard many people recommend prenatal supplements. If you eat a balanced diet you could just add an Omega 3 supplement and add Flax seeds to your diet. What was your experience will overlays? 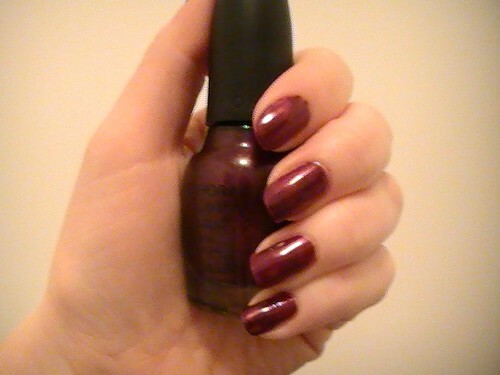 I picked up Sally Hansen Hard as Nails in Boots a few weeks ago. I hear there are more shades to choose from in the US. In my local Boots my only option was clear – which is exactly what I was looking for. The instructions recommend applying a few coats before applying your nail polish. 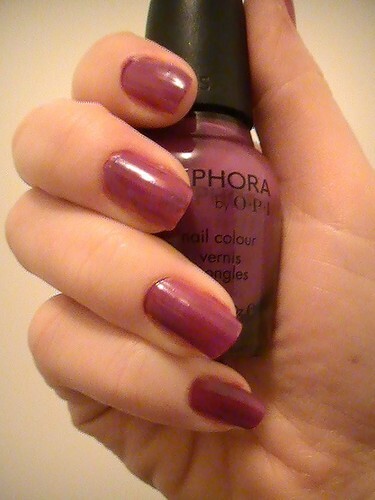 Consistency wise it’s a little runnier than nail polish but it’s a treatment so this didn’t make any difference. The first later dried in a few seconds so I swiftly applied another 2 layers. The final layer took a few more minutes to set. 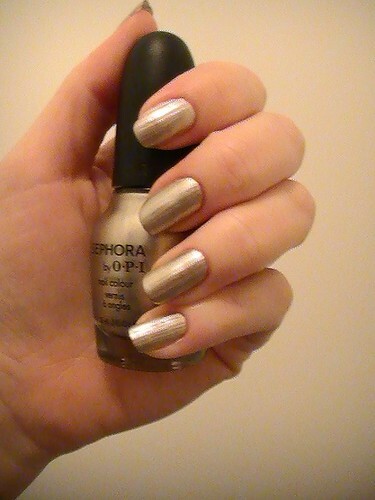 It doesn’t have a shiny finish which doesn’t really matter since it’s a base nail hardener and not a top coat. I followed with one coat of Eyeko Vampira. My polish went on without a hitch but it did take a little longer to dry. Even when it dried it was prone to dinting for another 10 minutes or so. This is definitely one I would apply whilst watching tv in the evening when I have time to let it dry properly. My nail polish didn’t chip for 2 days, without a top coat. My nails are prone to chipping and peeling. The hardener did in fact harden my nails and protected them from splitting and peeling but only for 48 hours or so. I bought mine for €9.95 in Boots but it was on offer – Buy one get one free. I also bought Sally Hansen Double Duty Base & Top Coat, which I prefer. Click here to see the review. Do you use nail hardener? What Sally Hansen products have you tried? The idea of a drawing on a French tip with a marker is very enticing. I am useless with my left hand so when attempting a French polish I end up with one perfect hand and one that looks like it was applied by a 5 year old! When this pen arrived I settled down for some nail pampering. It took me about 10 minutes (no exaggeration) to figure out how to get the colour to come out. The instructions told me “press tip of pen against protected surface”- I wasn’t sure if that was press down or just lean on. If you’ve tried this product then I’m sure you’ll understand my dilemma. It turned out that it was ‘lean on’ rather than ‘press down’ so the instructions are confusing. When the colour finally came through it applied like a dream to my first nail. Realising that I applied the pen without the expected French polish base-coat, I scooped up a clear base and hastily applied. The pen was not happy! It got stuck, dragged, blobbed and smeared. 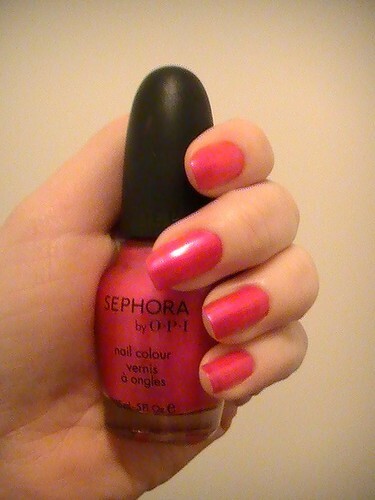 Not a good look and a far cry from the nail elegance I was looking forward to. In the end I got frustrated and went to town with the nail polish remover. This could have been because of the base coat or maybe I did something wrong but surely a white tip pen should make life easier. Although this pen wasn’t for me I do recommend their false nails. I photographed a step by step tutorial on perfect application which I will post tomorrow. What are your thoughts on French tip pens? Have you tried on that works? I bought Sally Hansen Double Duty a month ago in Boots and have used it consistently ever since. Let me start off by saying that I am usually a bit lazy when it comes to base and top coats. To be honest I’m lucky if my nail polish dries without a dint of some sort. I’m very fidgety and find it difficult to sit still long enough for layers to dry. I have tried a few different base coats and haven’t found one that was useful. The worst being the Boots Expert base coat which made my polish peel off. I bought mine on special – buy one Sally Hansen product and get the second half price. 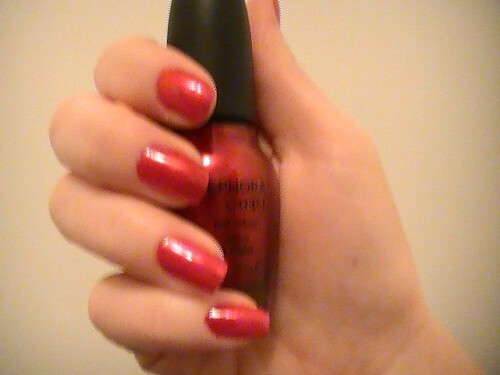 I choose the nail hardener as my second item, review to follow on that one. Back to Double Duty. I apply one coat before my nail polish and one coat after. It’s also cheap… in most countries. Ireland as per usual has a disgusting hefty mark-up so if it’s not on special you can buy it for €2.50 on ebay. I wouldn’t pay more! But I shall be repurchasing. What nail bases and topcoats do you recommend? It comes with a dvd and instructional booklet. I found the booklet far more useful than the dvd – much greater detail. These are the nail art polishes (top), the printing polishes (bottom), adhesive and a 2-in-1 Varnish. You are definitely limited in the shades available in the kit but if you had none of these supplies in your posession, like me, I suppose it’s a good place to start. If I enjoy using the kit I may add bits and pieces over time. You also get the tools necessary to complete the art work. In the dvd the tutor uses the paint brush to apply base coat polish. It occurred to me that I moan frequently about the standard of the brushes inside the lid of a nail polish and it never once occurred to me to use a separate brush. I’d be lying if I claimed to know what all of these tools are. I see a scraper, printed nail foils, a stamper, an orange stick and a thingy-ma-bob for picking up gems – It’s clear that I have all the terminology down. I’m actually keen to try the gems. I’m such a magpie, attracted by anything shiny. Maybe that’s why I couldn’t make peace with the matte nails trend. It also comes with a teeny tiny tube of glitter – which I am absolutely terrified of. Although it was a birthday pressie from a family member I had a nosey to see where it came from. They’re sold in Argos for €39.99. I’m sure that they’re available from any store that sells Rio products. What is your experience and thoughts on nail art?